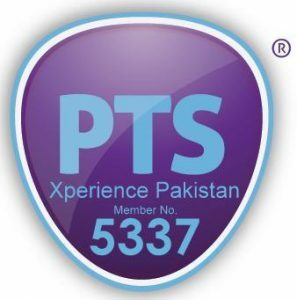 Our tour will start from the capital of Pakistan. We’ll pick up our bikes and explore Islamabad’s beauty before we head up to Murree to get a taste of the fresh mountain air we’ll be enjoying in the days to come. It’ll be a short and easy ride the first day so that every one can ease into riding on the “wrong” side of the road and to get comfortable on their motorcycle. 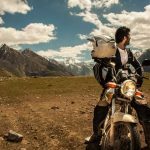 Then, it’s a straight shot to Naran, the gateway to the world’s biggest mountain ranges – all within a stone’s throw away from the edge of this town. 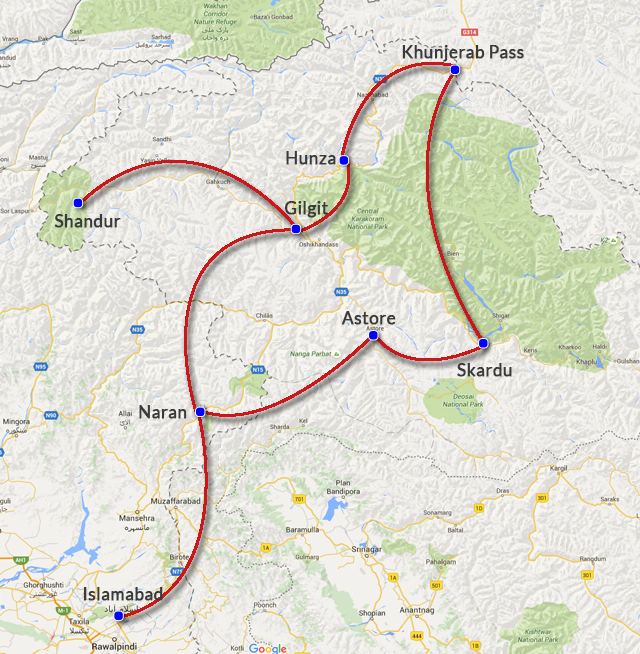 We’ll make our way across the first high pass – Babusar Pass will test our bikes as it climbs up to 13,700ft. After you pick your jaw up from the ground from the sheer beauty provided by this mountainside ride, we’ll head towards Rama Lake and relax next to this serene body of water. You can opt to join the local boys in a game of cricket, or continue to stay on your bike and get lost in the wood off the beaten path. 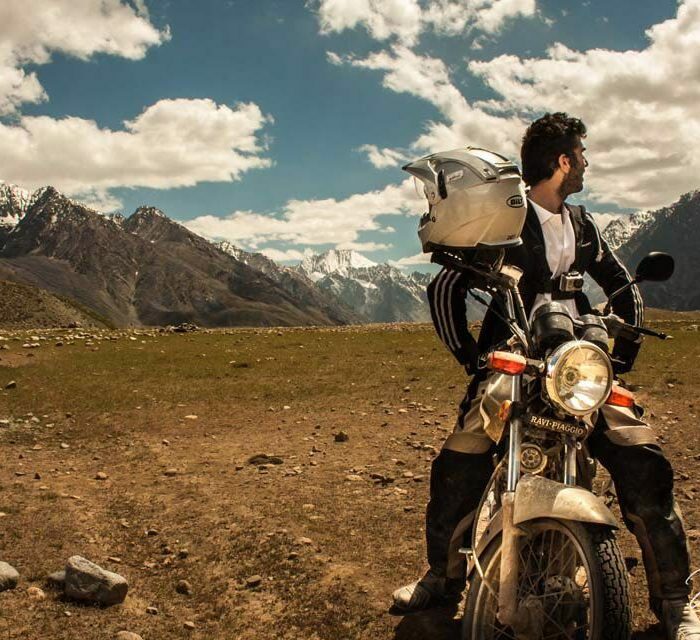 From Rama, we’ll pass Deosai Plains, the second highest plains in the world and ride all the way to Skardu, a city of many great adventures . All the big 8000 meter peak expeditions start in Skardu and you get to bump into real cool high altitude alpinists. 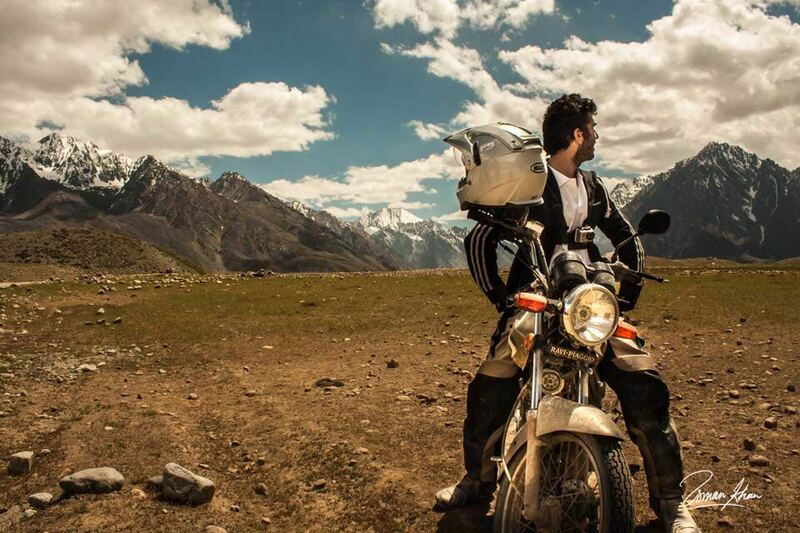 From Skardu, We’ll ride the Jewel, the road connecting Skardu to gilgit. 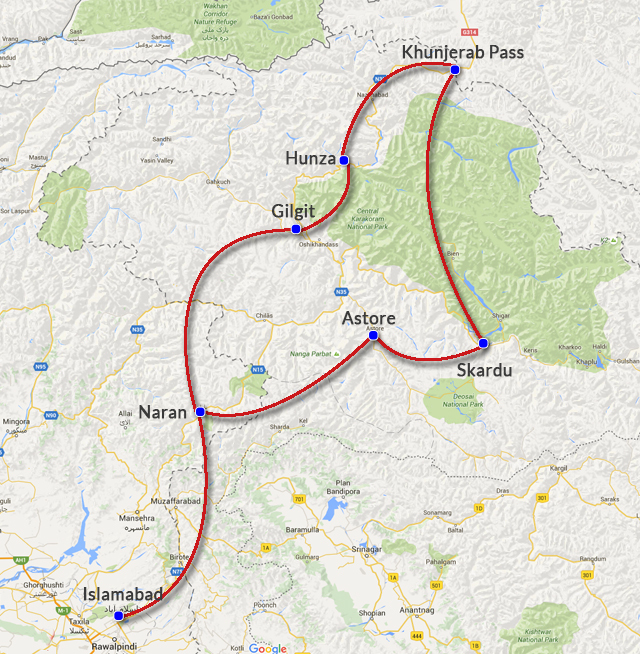 We’ll slowly make our way through the historical city of Hunza and up the Khunjurab pass, climbing up to 15,400ft to the China/Pakistan Border. 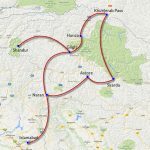 The Karakorum highway is the highest paved international road in the world and although it is 100% perfectly paved tarmac, it’ll still prove to be a challenge for the skilled motorist. By the time you reach this border, you will have experienced a taste of local flavor, local culture, and the most amazing local hospitality. 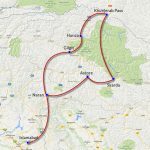 As we make it back into Islamabad, the past 14 days will be like a dream, an experience that will last you a lifetime, and you will have created a thirst for adventure that needs to be continuously quenched. *All rooms are on shared basis unless notified before hand. Female only 14 day tours are now available. To learn more please drop us a line.